China’s ride-hailing giant Didi Chuxing is set to launch in Melbourne, Australia, from 25 June as it continues its international expansion. Didi is the world’s largest ride-hailing app and is best known for driving Uber off the streets in China. Valued at about $56bn (Â£39.4bn), the Chinese giant is also the world’s most valuable start-up. The Australian ride-hailing industry is currently dominated by Uber, but recent entrants to the marketplace include India’s Ola and Europe’s Taxify. It started recruiting for drivers in June but would not share exactly how many it hoped to put on Melbourne’s roads. “What I can say is that Melbourne drivers are continuing to respond exceptionally well to the product we are offering… in fact, nearly 100 drivers attended a driver registration day on Wednesday,” a Didi spokesperson in Australia told the BBC. The firm’s app can be downloaded in Australia from Friday 15 June, and riders will be able to receive 50% off their trip from 25 June until the end of July, the firm said. But the discounts will be capped at a maximum of 10 Australian dollars ($7.45; Â£5.65) per trip, with a maximum of two trips a day. 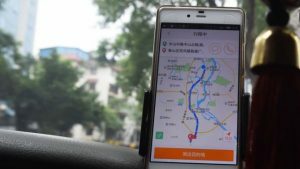 The post China’s ride-hailing giant Didi to launch in Australia appeared first on Citi Newsroom.